I'm so excited for this week, Wednesday earrrrly in the morning I am flying back down to visit the Cousin Corporation headquarters for my second annual brand ambassador retreat! 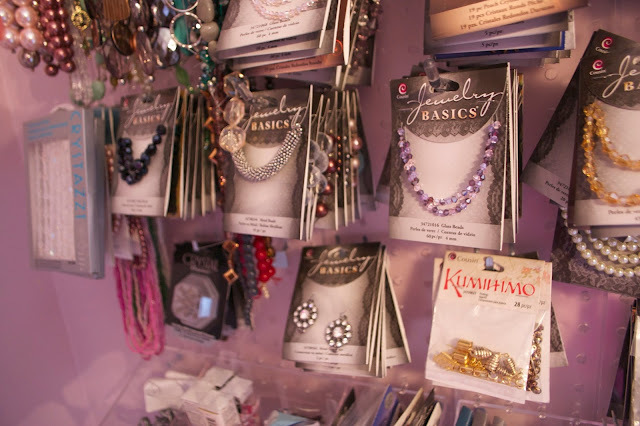 I had so much fun the last visit I had (I blogged about it here, here and here) and I can't wait to be back in sunny Florida for a quick trip filled with lots of beads again! Cousin recently asked each of us ambassadors to blog about where we find our inspiration for making jewelry. I get inspired a few different ways and thought I would share a few with you too! One of the biggest ways I get inspired is just by visually being able to see my beads. I love to play around with different bead combinations and that is generally what starts a new jewelry project for me. If i can't easy see or access my beads though it is hard for me get inspired! Thus, I try to keep my beads out in the open as much as possible. 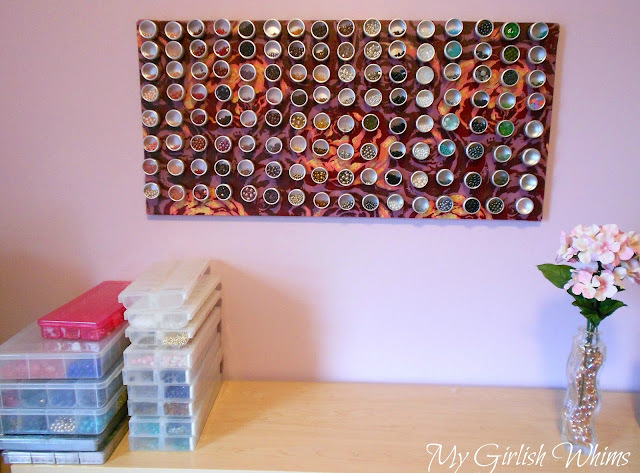 I blogged about it awhile back but I still LOVE my bead organization magnet board. This board hangs right above my beading desk and doubles as a piece of artwork (I think it is pretty at least!!) and functional storage for my beads. The best part? The beads are stored in clear glass front containers so I can easily look up from my craft desk and see what other kinds of beads I have available to work into a design! Since I'm on my second year of being a brand ambassador for Cousin, I've accumulated quite a stash of beads and findings! I bought this clear pegboard off amazon as another way to be able to hang up strands of beads and packs of findings to be able to see what I have to work with. 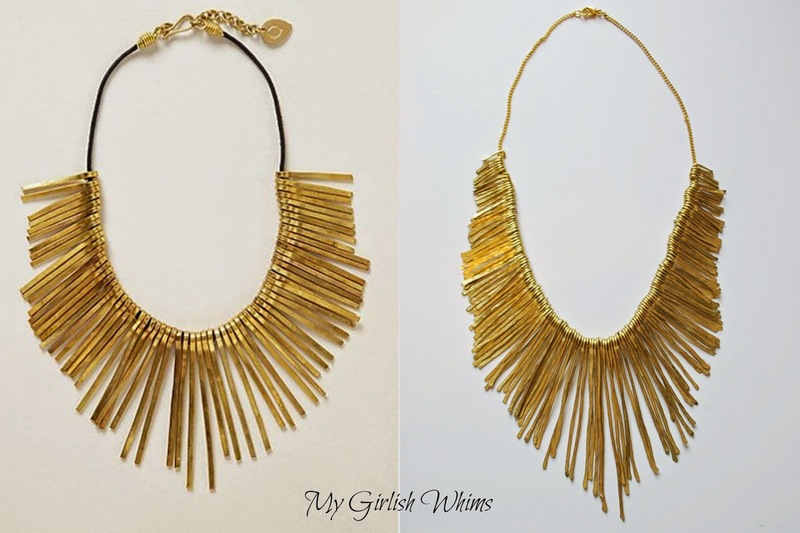 and this anthropologie knock-off necklace! When I'm not looking at retailer sites, I of course love to check out Pinterest for new ideas as well. 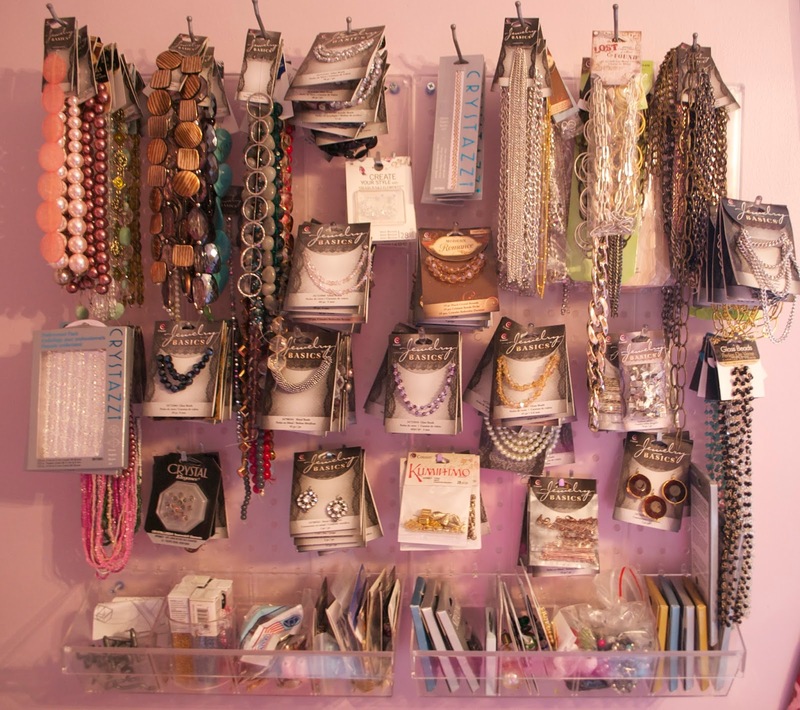 I have an entire board dedicated to jewelry making ideas and whenever I am feeling super stumped or not inspired at all I will scroll through this board and usually come away much more inspired! 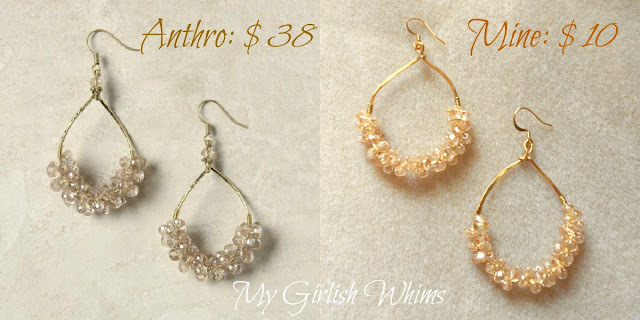 Lastly, I get inspired by just keeping my eye out for different jewelry making techniques and trends where ever I am! I will be the first to admit that I am that awkward girl who whips out her smart phone in the middle of macy's or forever 21 to snap a picture of a cute set of earrings or that adorable bangle set to recreate later on my own. I also have countless screen shots on my iPhone from jewelry I see on facebook or different style bloggers wearing on instagram that I squirrel away for inspiration later. The world is full of jewelry and my eyes are always open and searching for more inspiration!! That is a fantastic collection of beads and findings you've accumulated! And I am so jealous you get to go on a bona fide BEADING VACATION! :) Have a blast in sunny Florida! !